The current Waggle platform uses a powerful 4-core ARM CPU (Exynos 4412) made by Samsung. It is integrated into a small reliable board called the ODROID U3+. 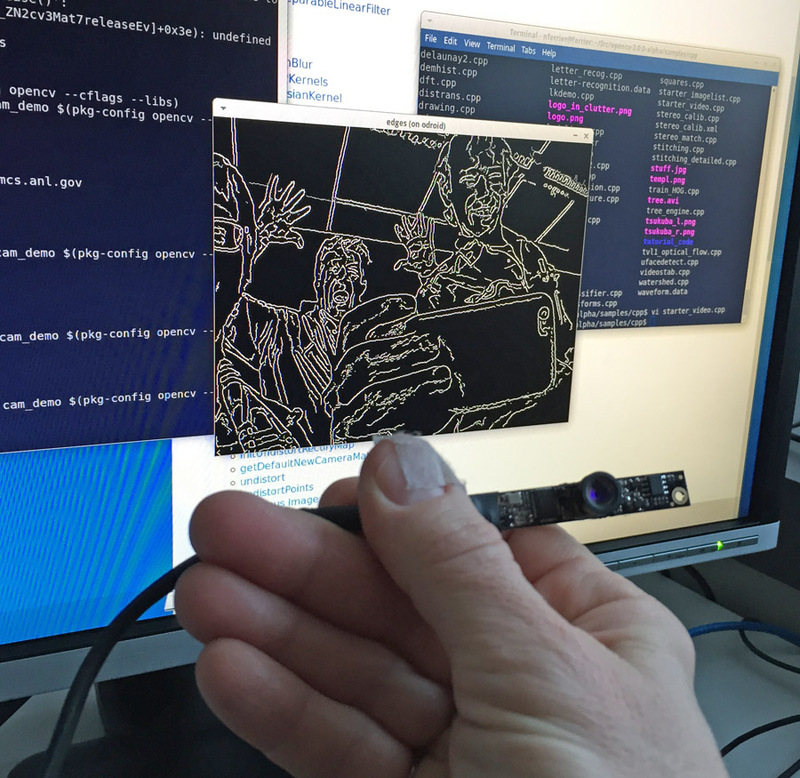 With 4 cores running at 1.7Ghz, the little board can handle significant in-situ computation on the data pulled in via the sensors. However, to do computer vision, and automatically recognize cars, bicycles, calculate the speed of pedestrians, visually estimate the wind in a corn field, and possibly even measure snow or rainfall from a few images, we may need a bit more computational oomph (an unscientific measure of CPU capability). So we are testing and comparing the capabilities of the ARM A9 cores against the ARM A15+GPU cores. 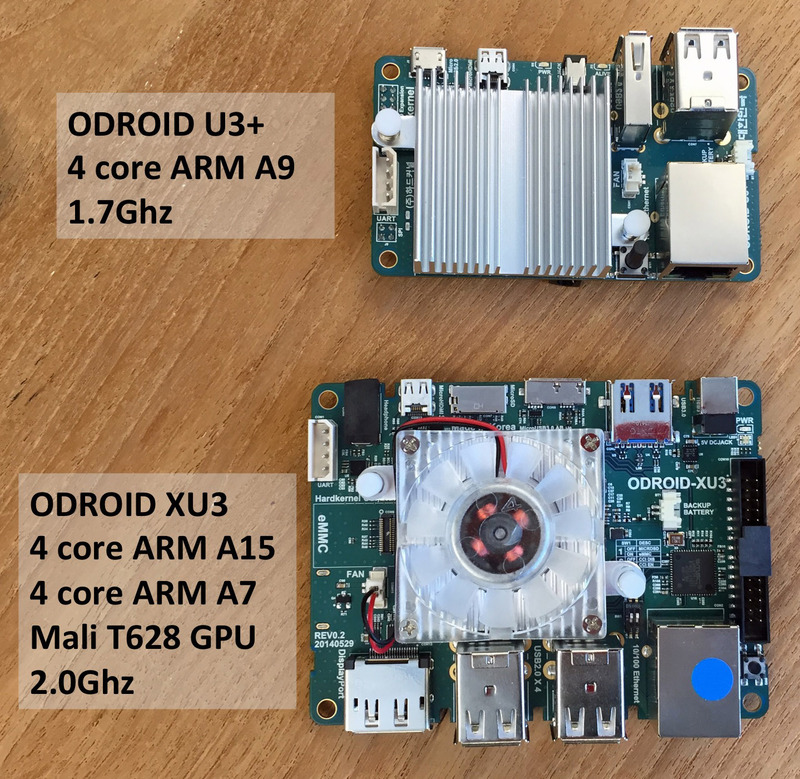 The U3’s big sister the ODROID XU3.